Home » How to Fix » Windows » Error 0x80070057: How to Solve? Error 0x80070057: How to Solve? 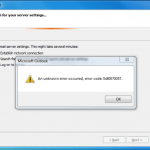 You may encounter an error 0x80070057 in both Windows 7 and modern Windows 10. This post will explain what that the issue is, where it comes from, and, most importantly, how to fix it. It may also be caused while installing Windows 10. This may be due to the issues with the system reserved partition, or registry entries getting corrupted. Of course, the way to fix the error 0x80070057 depends on which of the Windows components it occurred. Consider all these three options in more detail. As we’ve mentioned before, one way to get this error is while trying to backup or restore files using the Windows default backup component. Close Windows Backup and try again. You should backup windows registry before you take the following steps below. Go to Start, then Search for the file called “Regedit.exe”. In the Edit menu, go to New, and click on DWORD (32-bit) Value. Type CopyFileBufferedSynchronousIo and then hit Enter. Right-click CopyFileBufferedSynchronousIo and then click Modify. Look for the Value data box, type 1, and then click OK. Note that modifying registry keys isn’t something you’ll want to be doing on a regular basis. In fact, if you’re not comfortable with it, you probably shouldn’t do it at all. Less tech-savvy users should probably use a registry cleaner. 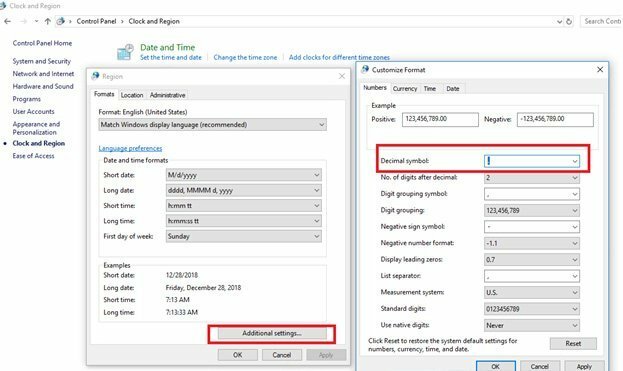 Go to Start > Control Panel > Date, Time, Language and regional Options -> Region and Language Options. Now click the Formats tab and then Additional settings. Go to the Decimal symbol field, where you have to type “.” (dot), and then click OK twice. Error 0x80070057 may appear during a clean installation of Windows 10 or Windows 7 when you are trying to format a hard disk. 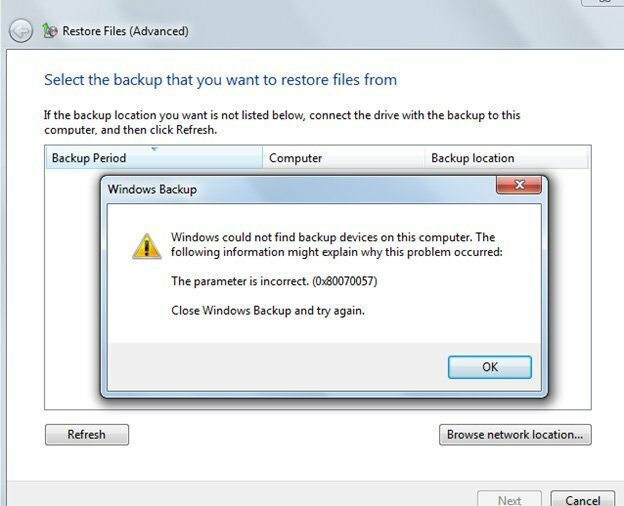 The reason this error occurs in this particular case is due to an issue (or damage) with the System Reserved Partition (which is 100 or 500 Mb default partition for BitLocker encryption, Recovering Windows, and other System Files). 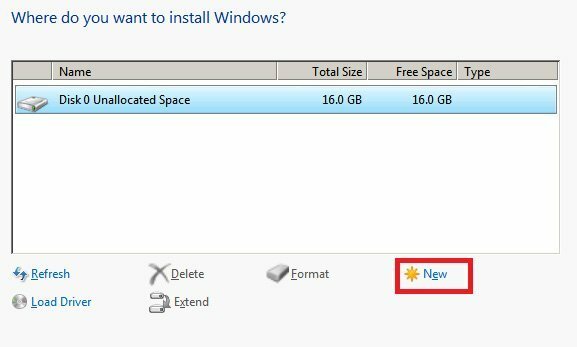 When it happens, you will have to delete the existing Windows partition where the previous version of Windows was installed (usually on Local Disk C:). This includes the System Partition. Then you will have to format the disk for a new, clean installation of Windows. Select the Disk 0 partition 2 and format it once more. Check RAM using mdsched (more details here). 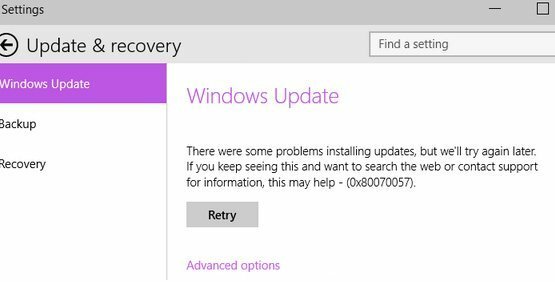 You may encounter an error 0x80070057 when searching or installing updates through Windows Update. Let us know if this guide was helpful to you when trying to solve this error. If you have other tips or ideas we haven’t covered, write them in the comments below!